Chris James shares his experiences from spending Christmas in China on short-term mission trips, and explains the value they add to students, leaders, missionaries, seekers, and churches at home and abroad. Christmas in China is a ministry of the International Mission Board for college students, and is almost 15 years old. The experience is 17-20 days. The goal is to build relationships with Chinese students through English classes, sports, Christmas parties, etc. Because of the respect that Chinese students have for American students, and the time taken to build relationships, there is great receptivity to the gospel when it is shared. Success in short-term missions is not just seeing salvations, but strengthening local missionaries. The effects last far beyond the duration of the trip. Why does it have to be over Christmas? It’s strategic. Christmas is a natural time to talk about Jesus. Doors are open that don’t exist in July. Christmas is a natural cross-cultural exchange. Chris has lived in Lowell for thirteen years serving as a campus minister at UMass Lowell and founding pastor of Mill City Church. 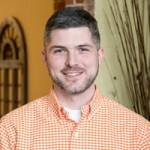 His primary responsibilities at Mill City involve the visioning and leadership training in the church as well as the weekly teaching during Sunday morning worship gatherings. He holds degrees from the University of Southern Mississippi (B.A. in Music) and the Southern Baptist Theological Seminary (M.Div.). He is the author of Commit: Releasing the Hold of Reluctance and is a frequent speaker at collegiate events across the country. An avid baseball fan, his recreational goal in life is to watch a game at every Major League ballpark. At present he's been to twenty-six out of thirty.